Buffalo State junior Ashley Coleman wants to weave sustainability into her upcoming hospitality and tourism career. She is getting experience now by participating in the college’s new Students 4 Sustainability (S4S) initiative and one-credit course. 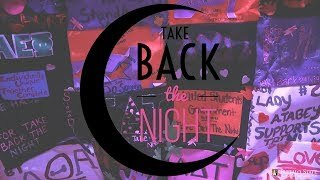 On Tuesday, this meant collecting food and clothing donations outside Campbell Student Union to pass along to area refugees and others in need. Coleman and a handful of other S4S members wrapped in coats and scarves smiled and thanked visitors for dropping off cans of food, sweaters, and toys that they plan to give to a handful of community organizations such as the International Institute of Buffalo and Journey’s End in time for the holidays. The students will repeat the drive this Thursday, December 11. Student Jonathan Atlikhani came up with the idea. He reasoned that residential students are cleaning out their dorms at the end of the semester and often want to dispose of clothing and food in good condition. Throughout the year, the small S4S group collaborates on projects with other campus entities including the Sustainability Council, the Volunteer and Service-Learning Center, the Philosophy and Humanities Department, and fraternities and sororities. On Veterans Day, for instance, S4S led an effort to clean up the campus; they organized 53 volunteers who filled 30 trash bags by the end of the day. Next semester, senior English education major Jessica Lauer is spearheading a fundraiser for Charity: Water, a non-profit organization that brings clean water to people in developing countries. She plans to raffle off baskets of donated goods in the student union during Bengal Pause and send the money to the international charity. "I took a class with Justin and like to build off others' excitement," Lauer said of her inspiration for the project. 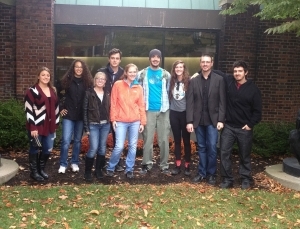 Twelve students took Donhauser’s brand-new S4S course this past semester. He is hoping to grow the course and initiative over time. 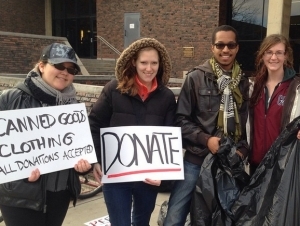 "The course is designed to be a platform for students to help the community by doing things like this," Donhauser said of the clothing and food drive. Students, faculty and staff members interested in donating new and used clothing, non-perishable food items, toys, health and beauty supplies, bedding, and school supplies, should bring them to the Student Union Plaza, between noon and 3:00 p.m. on Thursday.